It seems like every week there’s news about another major data breach, corporations and organizations around the country and the world, discovering that they’ve been hacked. If you’re one of the 1.4 billion people who are active on Facebook, it’s likely that you may be a victim of the latest leak—one of the most massive ever with a reported 88 million users affected. This highly publicized breach is not only disturbing (to say the least) but also has implications that reach far and wide, way beyond the loss of personal information. 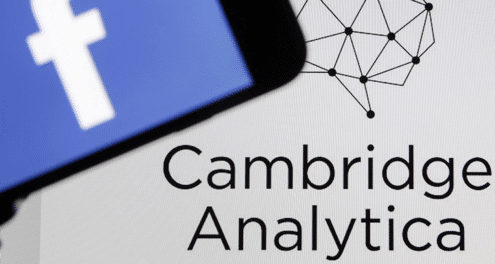 Cambridge Analytica is at the heart of the Facebook breach—it is this organization that is said to have accessed millions of people’s personal information via a third-party app on Facebook. A data mining firm headquartered in London, England, Cambridge Analytica also has offices in New York City and Washington DC. The organization combines data mining, data brokerage and data analysis with strategic communication for the electoral process. In a nutshell, they collect and analyze data, create psychological and personality profiles of voters and then target individuals with content that is specifically created to “speak” to them. How did they get your personal information? If you or one of your friends on Facebook installed the app This is your digital life before 2015, your information and possibly that of your friends, was scooped up by Cambridge Analytica. The app was subsequently banned by Facebook, but not before it leaked data like your birthday, hometown, page likes and more. Additionally, it’s not yet clear whether even more personal information was stolen, including private messages, status updates, newsfeed and personal posts. What did Cambridge Analytica do with the information they stole? Although it may not seem like a big deal to have your status updates, hometown or even your birthday leaked into the hands of this organization, it’s what they did with this data that is really disheartening. At this point in the investigation, it’s estimated that they used the data to create more than 30 million psychographic profiles of voters. Why should you care about this breach? When we think about ID theft and the loss of personal information, the first thing that comes to mind is that someone now has the ability to steal our identity and gain access to our bank accounts, credit report and other financial institutions. In this case, many Facebook users may be less concerned, after all, this organization isn’t about to apply for loans or credit cards in your name, right? But the reality is, this massive breach of information is now being tied to our Presidential election and to the spread of false information to sway the votes of millions of people. What’s more, this type of “psychosocial” theft and profiling could be just the beginning of what many people fear will influence their lives in many ways—after all, the ads and news that are served on social media are already targeted to likes, interests, shares and searches. If you’re one of the millions of people affected by the Facebook breach, you will or may have already received a notification from the social media site. You’ll be directed to check which apps you have installed and be shown what information is shared via each one. You’ll also have the option to shut off each one individually. One of the key things to note is that unfortunately, once your information has been stolen in a breach, there’s no way to undo it. The key thing is that we must all learn from these situations and take measures to protect ourselves from further damage and data breaches in the future. And, that’s no an easy task when you consider how much of your life you spend online—whether on social media, news sites, shopping and doing business. But it’s important to be aware of where and who you’re giving your sensitive information to. Identity theft is metamorphosing with every day, so always be aware of where you’re storing personal information and remain proactive about shredding—including old hard drives, cell phones, tablets as well as paperwork and documents that are outdated. To learn more about ID theft and how to protect yourself, please visit our blog. And, to find out how we can help you with shredding and destruction, give us a call at 772.483.4152 or fill out our quote request form.